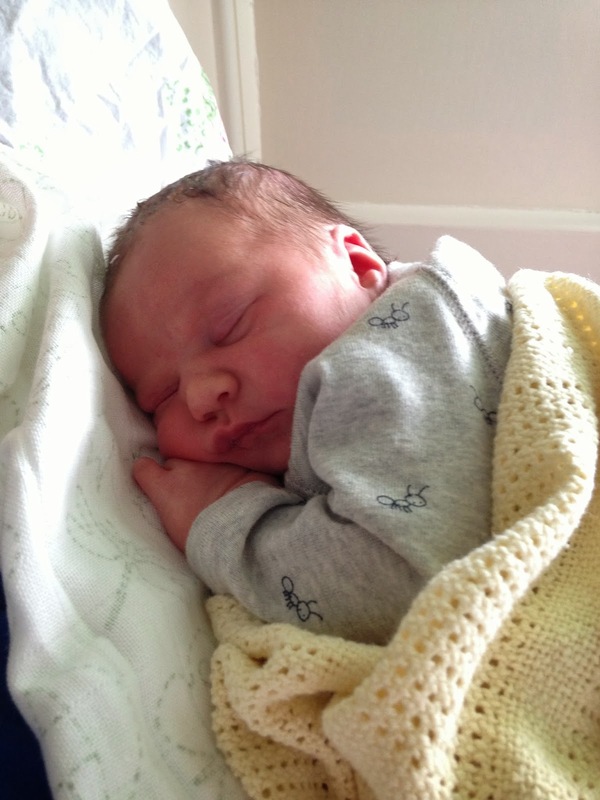 Potions & Prams: I've had a baby! So if you've just clicked on to this blog you'll probably notice a small-ish gap in blogging which, for a newbie might seem like a distinct lack of dedication to the cause. But I have a pretty good excuse in that I had a baby! Elsie May Rudolf was born on July 31st, just as I was building up my blog posts (how inconvenient) and what with nappy changes, laundry loads and building train sets for my toddler, I've barely had time to switch on my computer, let alone write something. Anyhow, I thought I'd get back into the swing of things with just a few musings on what its been like so far to have a second (I have a three year old too). When I was pregnant with Elsie, a few things concerned me about having another baby; namely, would it hurt as much as the first, would my little boy think I'd abandoned him (I know, I know), is it really easier the second time around and would I ever sleep again. Here's what I've learned so far ... let me know what your experiences were second-time around. Everyone told me that I'd find the birth of my second baby easier. It seemed that, because I'd done it before it would be quicker/pain-free and even enjoyable. Well, it did hurt. Of course it does, you're still pushing out a baby. It was a whole lot faster (contractions began at 12.30am and Elsie was born at 4am) which was great but the speedy delivery meant I had to forgo any pain relief. Oh wait, I did have a paracetamol. Yay! On a positive note, I did feel pretty proud of myself post-labour. I did it! When I fell pregnant I couldn't help shake off the feeling that my gorgeous little boy would think I was abandoning/neglecting/replacing him with a whole new being. And yes, since Elsie arrived it has been trickier to devote as much time towards him as I might like. And sometimes, I feel awful because of it. However, aside from a few major wobbles at the beginning, he's taken it all in his stride and is happy for Elsie to tag along at play, story and bath time. And it's lovely. I love my sleep. And one of my biggest concerns was going through the whole sleep-deprivation scenario a second time around. But this time, things have genuinely been easier. Mostly, I think it's because you know what to expect and so you deal with it differently - namely, with more patience and even a little bit of humour. And also, I've asked for help when I've needed it - taking the odd nap here and there rather than taking on the laundry basket (again). It makes a HUGE difference. Found: the best nursing bra - ever!